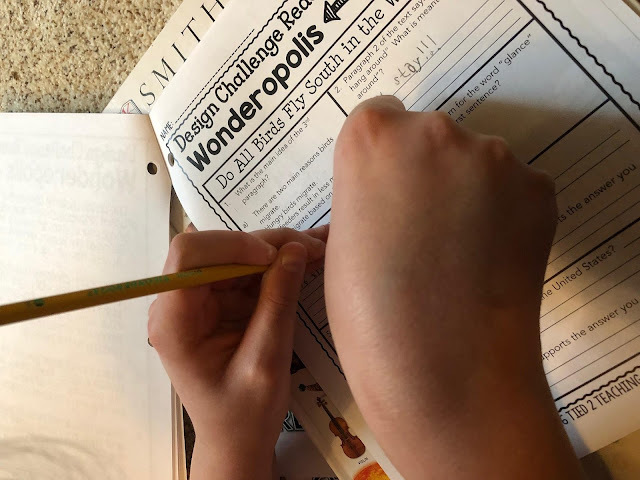 We love hands on activities in our homeschool, and we love when a product can incorporate more than one subject. 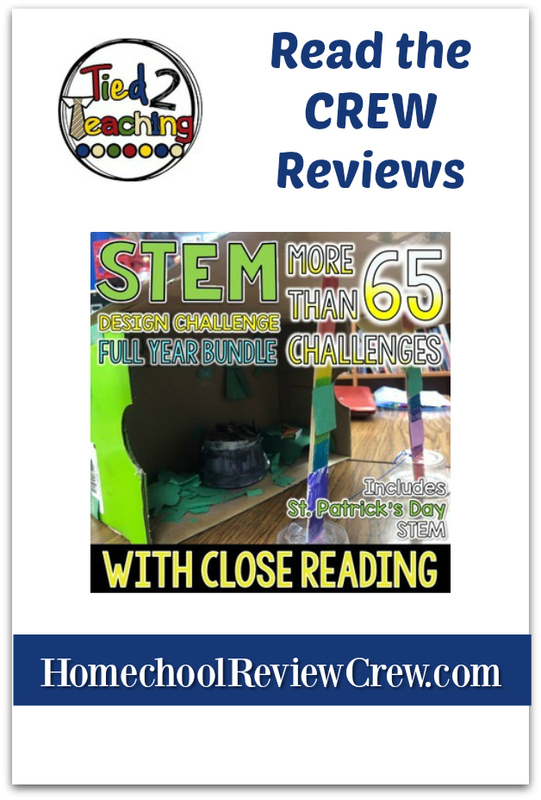 Tied 2 Teaching brings you STEM activities with close reading and hands on projects in their STEM Activities, Full Year of Challenges with Close Reading PDFs! For this review, we received a full year of challenges, with the idea being to do one per week for a year. Spoiler Alert: There are more than 52 challenges! We ended up working at a slightly different pace than one Challenge per week, and instead I used these challenges as the core to a more unit study style approach. So one week we actually did 2, the following weeks we did one over the span of about 10 days or so, and the next over the span of about 8 days. I really like that these challenges feature monthly themes. For example, February activities feature a groundhog burrow and Lincoln's Cabin. March features a rainbow bridge and a Leprechaun trap. We skipped around to get a look at various months, but plan to continue with the monthly fashion after this review. 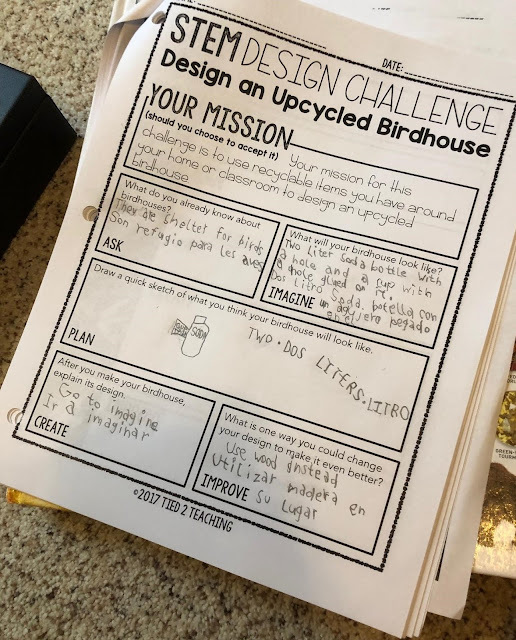 For this review, we are going to showcase our Upcycled Birdhouse!We also tried our hand at a Groundhog burrow, Lincoln's Cabin and a pencil tower. Each activity features an article for your child to read. You can either read these online, or you can print a PDF from online. I wish these were included with the PDF download to print all at once just for convenience, but it was nice to have him working on the computer, too. The really cool thing is the reading comprehension page features a QR code so you can just scan that with your device, and it automatically pulls up the article! THAT is super convenient! 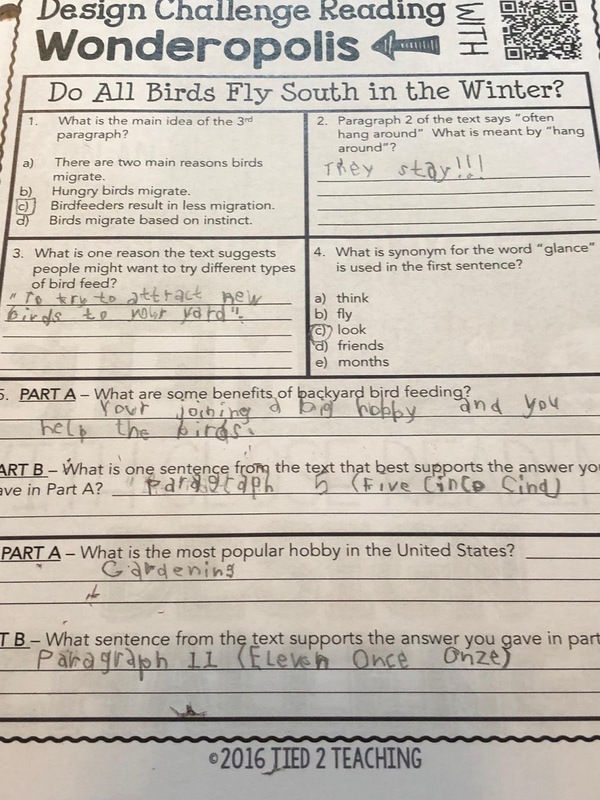 After reading the article, I had Mr. B answer the questions. We talked through some of them, as needed, but he was able to fully finish this on his own, with little intervention on my part. I really appreciate how the questions made him stop and really think. 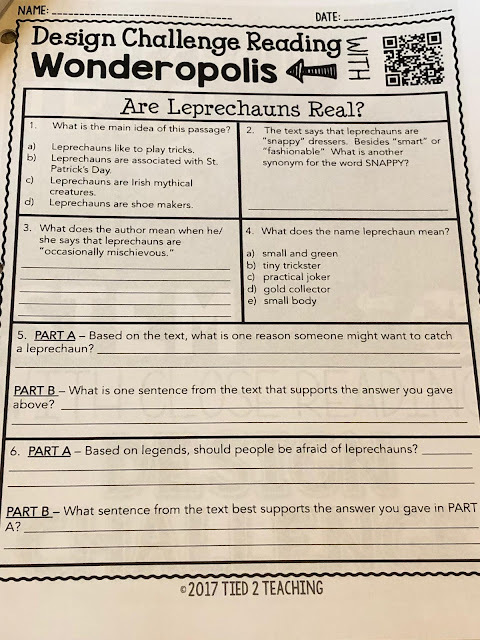 Each project has the same style of questions that your child must answer in relation to their project, with some pages being the same across the projects making this a very consistent set of studies. Each challenge also follow the same format, as you can see from the Groundhog challenge below. I love how colorful some of the pages are. The actual work pages are in black and white, so it makes printing a bit easier if you're printing multiple copies. But the instruction pages are full of colorful images, and would work well with a projector! There's also an included letter to parents at the end for teachers, such as co-op teachers, to send home with the kids. I'm a fan of not having to go out and buy materials for a project, so this was perfect for us. The Challenge printout shows photos for inspiration. 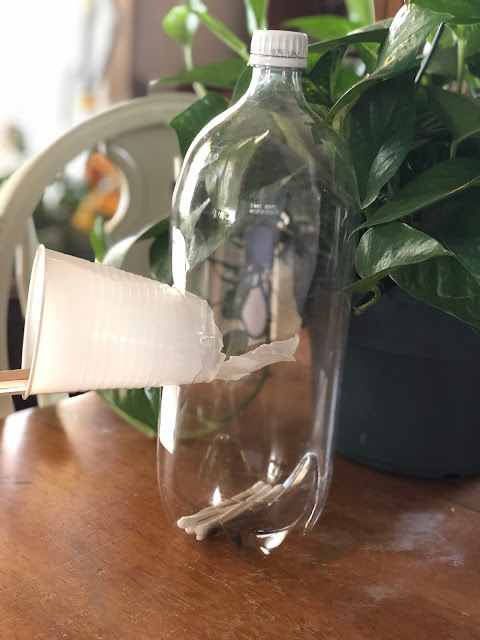 We build a birdhouse from a 2L soda bottle I was going to toss out, a plastic cup, and some craft sticks. At first, he planned to use a paper roll, but the hole was cut too large. He tried to wedge it with cotton swabs, but that was an epic fail HAHA! So they are now "Enrichment items" in the bottom HA! NExt we tried to fit a plastic cup. HOORAY! It worked! So I carefully cut the bottom off for him, and SAD FACE it collapsed. So ultimately I helped cut the hole a wee bit larger, and we carefully inserted a whole cup, then I took over and cut out the bottom with the cup securely inside. After that, a little glue and some craft sticks and we have ourselves a perch! You could easily make this stronger, add a string under the lid with a bit of glue, and fashion yourself a handy little birdhouse fit for a cardinal! Overall, we really enjoy these! They require some prep on my part, but they're worth it for how much Mr. B likes working on them. 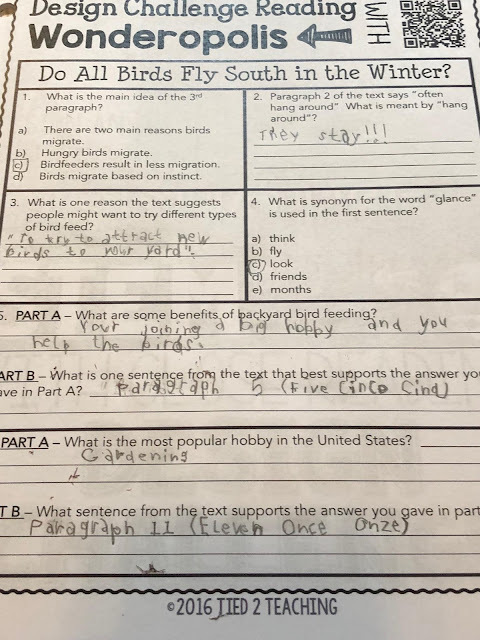 He can cover reading, science, and other subjects depending on the challenge. They're good for younger students, yet still challenging for the older students, too. We highly recommend them to others!! We are only one family out of 70 to be on this review. Please click the banner below so that you can read their reviews, and see what cool challenges they completed in their homeschools!